Have you ever been in a long meeting that you thought would never end? You know the meetings I’m talking about. Those dreaded one hour meetings. The ones that are late to start, mundane and repetitive, with no real purpose. Those meetings that could be done in much shorter times on a one-on-one basis. Time Management Ninja outlines an example of a one hour meeting which many of us experience on a frequent basis. This article clearly and boldly states that the one hour meeting is far too long and should be done away with completely. Are there times that call for a one hour meeting? Absolutely. However, these long meetings should not be a frequent occurrence. There are 2 key items you should consider when scheduling a meeting: Expense and Purpose. Whenever you schedule a meeting, think first about the number of employees you are requiring to attend, as well as their salaries. The longer the meeting, the higher the dollar. For example, if you have 4 employees earning $20 per hour, you have just dropped $80 in having those employees attend a one hour meeting. That’s not factoring in the time they may have spent preparing or in transit to the meeting, in addition to the common chit-chat afterwards before they are actually focused and on task again. Each person that is attending a meeting is being taken away from production. This means nothing is getting done and you are paying for it! Before scheduling a meeting, think about the purpose of your meeting. Do you have a key topic you wish to share and discuss, or are you just scheduling the meeting for the sake of having a meeting? It can become second nature at times to schedule meetings simply because it is what we have always done. If your meeting has no real or valuable purpose, please cancel it! I recommend that you take time every so often to evaluate the worthiness of the meetings you currently schedule. Think about the topics discussed during the meeting. Are the topics of value to everyone in the meeting, or would they be more appropriate in a one on one setting with individual employees? For example, discussing individual goals and achievements with a room of 5 or more employees is not an effective use of everyone’s time. However, discussing status or achievement on a team goal would be an appropriate use of time. Time Management Ninja recommends that one hour meetings be obliterated. I believe that once a month or quarter is okay for a longer meeting. However, when it comes to frequent meetings, I tend to agree with Time Management Ninja. In place of the frequent one hour meeting, try quick team huddles instead. A huddle should last no longer than 15 – 20 minutes. Ideally, in a huddle, the team is prepared, standing, and giving quick updates or asking teammates for help with certain problems. By ditching the one hour meeting and replacing with quick team huddles, you will most likely see a positive change in attitude and atmosphere within your team. 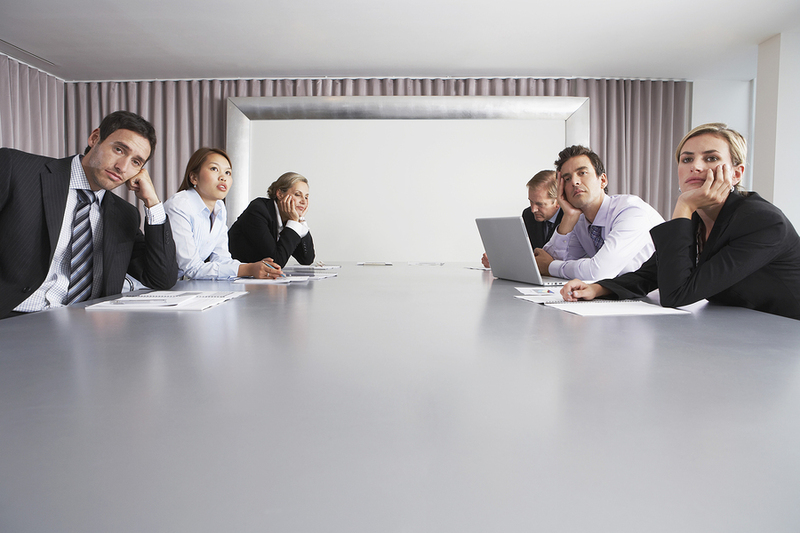 What are your thoughts on the one hour meeting versus a team huddle? Please share your thoughts and experiences below.